I often get asked what sort of crochet hook I use. This varies on the project a lot so I’m going to outline below some of my thoughts on wooden, metal, and plastic hooks. I found this gorgeous hook on etsy and had to have it! 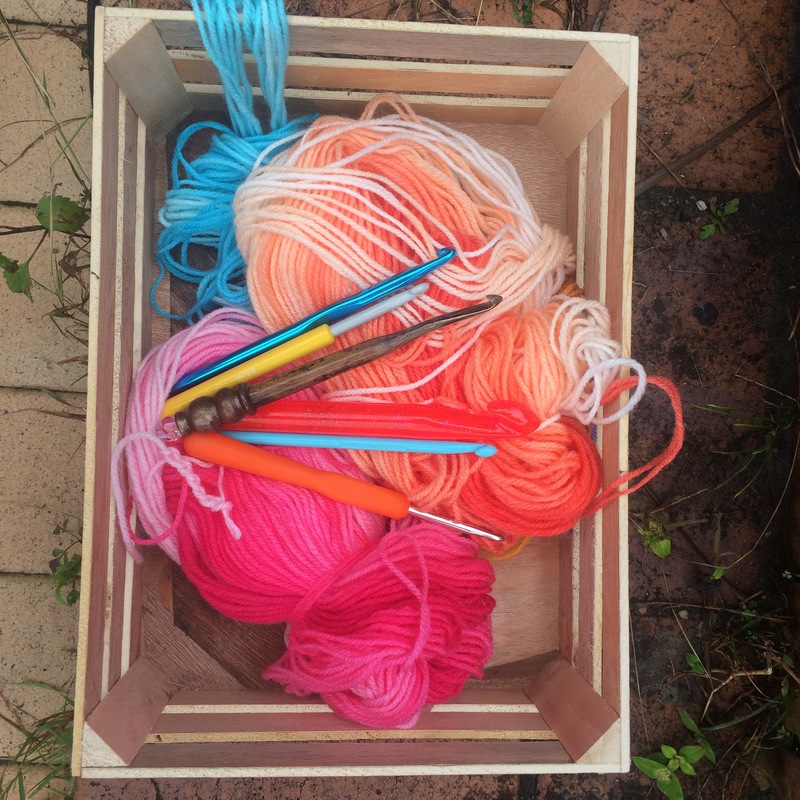 I hadn’t used a wooden hook before so it was quite a different crocheting experience. I feel i have to be more gentle so as not to break the hook so I tend to use this hook for smaller projects with lighter yarn. These are usually the first hooks everyone buys. They are super cheap and are strong as anything. There is a big difference between the ones with a rubber grip and those without. My hands tend to ache when I use the one without the grip. I picked up the Boye brand of hooks when I was in the USA last year and was super excited to try them out. Amazing! I can crochet for hours without my hands hurting. I was super happy to find an Australian store that stocks them so now I don’t have to worry about misplacing mine. Also another super cheap option, I can get about 4 hooks for $2 at the local cheap shop. These are light but tend to break easily. I take these hooks with me when I go on holidays on a plane so I won’t cry if they take them off me. It’s always good to have a few of these hooks around but I’ve noticed my tension is way off if I swap from plastic to metal hooks in a project. Ultimately it is personal choice with hooks, you have to find the hook that fits your hand and creates the correct tension. I really like the metal ones with no grip. I have been crocheting for about 4 years now and I have never liked anything else I have tried. I have the coloured ones so love the look of them. I love that they are always so smooth. I like feeling the hook size is relevant to the project I am making. Also I find my tension is better without grips. I also have had a few bamboo ones that I really liked but I had the same problem as you in that they are way too easy to snap. I use the metal hooks that have the wooden handle. They are the Susan Bates brand. I need that grip. I too used to use the metal only hooks and my hands would ache as well.